As engineers painstakingly work their way through tests of the first full operational capability (FOC) Galileo satellite at the European Space Agency’s European Space Research and Technology Center (ESA/ESTEC) in Noordwijk, The Netherlands, European space sources have acknowledged that the new-generation spacecraft’s maiden voyage will not occur until December 28, and even that date looks highly unlikely. Late last year, Galileo program managers laid out an ambitious schedule of launches, including two dual-satellite launches this year. They wanted 14 to 18 FOC spacecraft in place by the end of next year so that they could declare the beginning of “early services” based on the system’s civil signals. But missing two planned 2013 launch dates will now cast further doubt on the prospects for achieving the latest milestones of the long-delayed program. Meanwhile, European Union (EU) member states have begun independent testing of the Public Regulated Service (PRS) signal being broadcast by the four Galileo in-orbit validation (IOV) satellites. Transmitted on two frequency bands, the encrypted PRS offers a highly accurate positioning and timing service, with access restricted to authorized users. 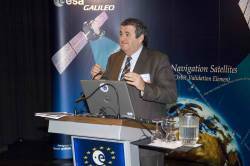 PRS access was initially considered for Galileo’s full operational capability (FOC) phase, but it has been enabled in 2013 in response to the strong interest of member states in this service, according to Miguel Manteiga Bautista, head of ESA’s Galileo Security Office. To allow early access to PRS during the current phase, the European Commission and ESA began the joint project ‘PRS Participants To IOV’ (PPTI) in July 2012. “As a result, Belgium, France, Italy and the UK have now performed independent PRS acquisition and positioning tests. In parallel, ESA, through collaboration with Dutch and Italian authorities, is also conducting PRS fixed and mobile validation in several locations in the Netherlands and Italy,” said Manteiga. ESA has made several tools available for the member states’ PRS testing, including test receivers and other qualification equipment. ESA also provided the know-how and expertise required to conduct these experimental campaigns. ESA’s PRS Laboratory, based at ESTEC, was used to provide training, demonstrations, and sample data. The PRS tests have demonstrated a current autonomous positioning accuracy below 10 meters when in an optimal geometrical configuration. “The PPTI project is still ongoing to test more advanced functionalities this coming autumn and to run the first aeronautical PRS tests in collaboration with the Dutch authorities,“ Manteiga said. The project is the first step to ensure the use of the PRS service as soon as it is in full operation. It will be complemented by the PRS Pilot Projects, focused on PRS applications, which are currently being defines in a common effort among the EU member states, the European Commission, ESA, and the European GNSS Agency (GSA), which is in charge of Galileo security. ESA has begun acoustic tests, thermal vacuum, and other tests of the first two FOC satellites, which have arrived at ESTEC from manufacturer OHB in Bremen, Germany. Among the reported problematical aspects of the FOC satellites is the PRS signal transmission, which will operate at a higher power than the IOV spacecraft. The initial tests will be followed by a System Compatibility Test Campaign in which the satellite is linked with Galileo Control Centers in Germany and Italy to transmit signals to ground user receivers as if it was already in orbit. 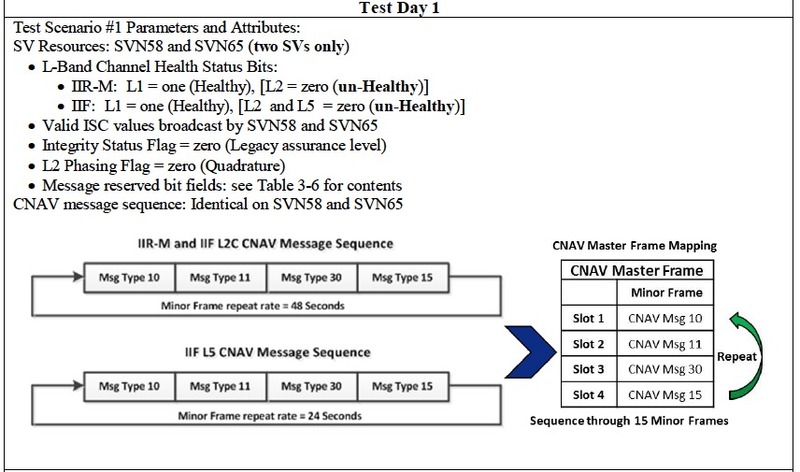 In July, ESA and the GSA invited companies to take part in a test campaign of Galileo chipsets to assess their readiness to support the reception and processing of Galileo signals in view of the planned declaration of early services. The campaign will be undertaken by ESA between October 2013 and September 2014 and will consist of a series of laboratory and real-life signal tests making use of ESTEC facilities. Under GSA coordination, other product compatibility assessments may also be performed with the support of the European Joint Research Center in Ispra, Italy. The tests will focus on the compatibility of the devices with the reception of Galileo Open Service Signals and their combined use with GPS and GLONASS, covering aspects such as time to first fix and accuracy. Depending on the capabilities of the devices, tests can be extended to cover assisted-GNSS performance.